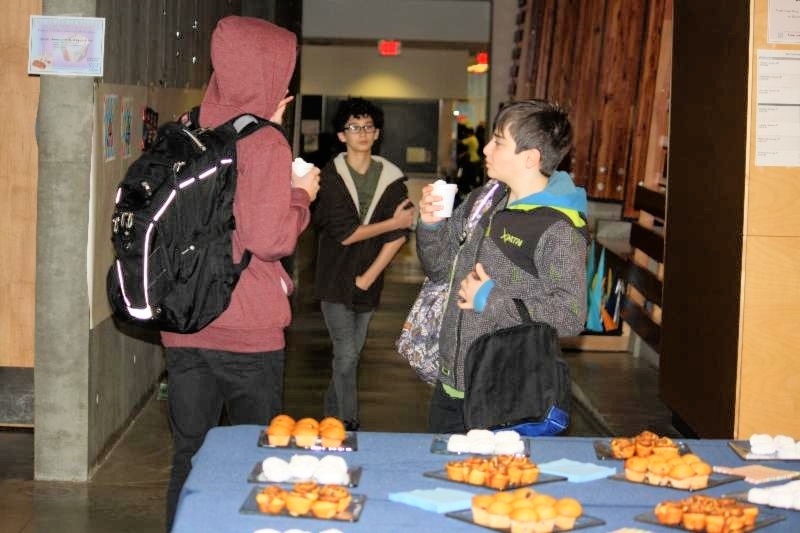 Students arrived at school yesterday morning to find tables filled with an array of pastries and cups of hot chocolate (with whipped cream!) waiting for them. The students’ smiles and sincere “thank yous” made the PAC parents, who prepared the Tu B’Shevat treat, smile. 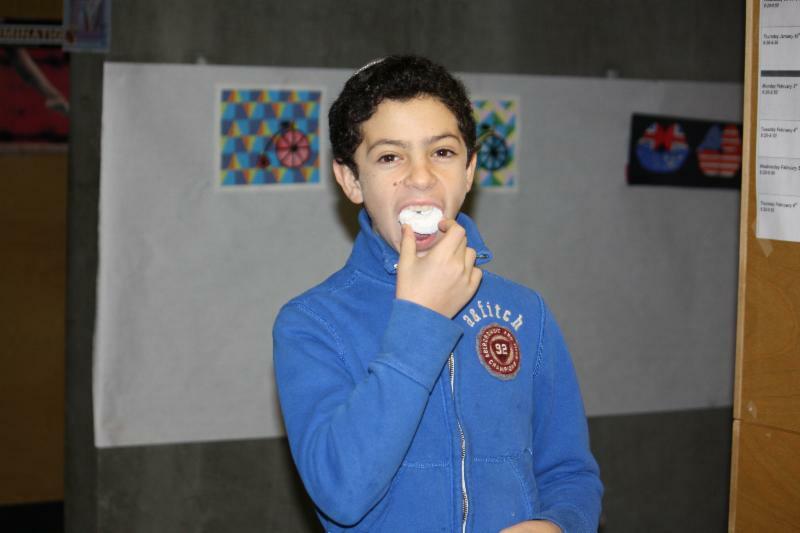 Eduardo, Grade 8, thoroughly enjoys the sweet treat! Thank you to our PAC Co-Chairs, Deborah Youngson and Pam Wolfman, for organizing such a wonderful surprise. Tu B’shevat is the day we celebrate one of God’s most special creations — the tree — and all of the good we get from them. There is a custom to eat many different types of fruit on this day while thinking about and appreciating where they came from and the benefit we derive from them. That is exactly what we did this Tu B’shevat. Kristy Watson and her Foods department created a humorous video celebrating the benefits of the variety of fruits and vegetable we eat. It was followed by a taste testing of various fruit and vegetable smoothies and chocolate bark made vegetable smoothies and chocolate bark made by Deborah Youngson with help from Student Council. Judaic Representative Kira, Grade 12, related a story about planting for the future and how we can learn much from trees. One thing is patience. A tree, which starts from a tiny seedling, takes many years before it grows tall and produces its delicious fruit. So too, we should try to be patient and know that all good things will eventually ‘bear fruit’ if we have the patience to wait. The History 12 students executed an intensive hour of disagreements and disputes while impersonating political figures taking place during the interwar period. 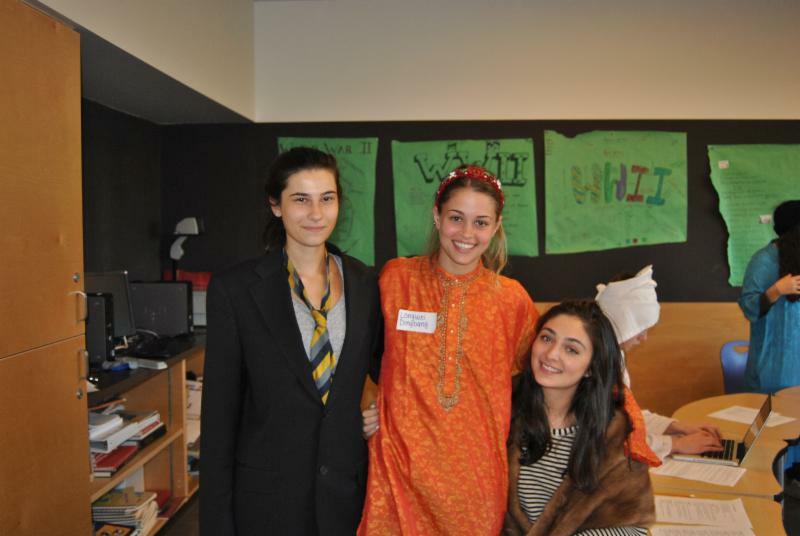 The students were given the opportunity to take a walk in the shoes of people like Benito Mussolini, Mohandas (Mahatma) Gandhi, and Joseph Stalin. In response to Thursday’s class, students have said that the “Round Table Interview” was a great alternate way of learning. This assignment went beyond the textbook and taught the class skills that are applicable to public speaking and cooperation. 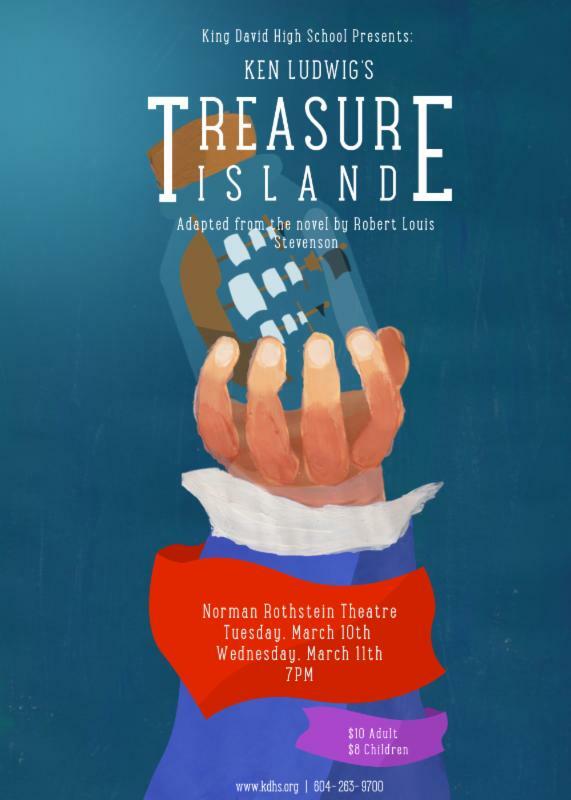 Overall this was a stimulating assignment and an unforgettable experience. 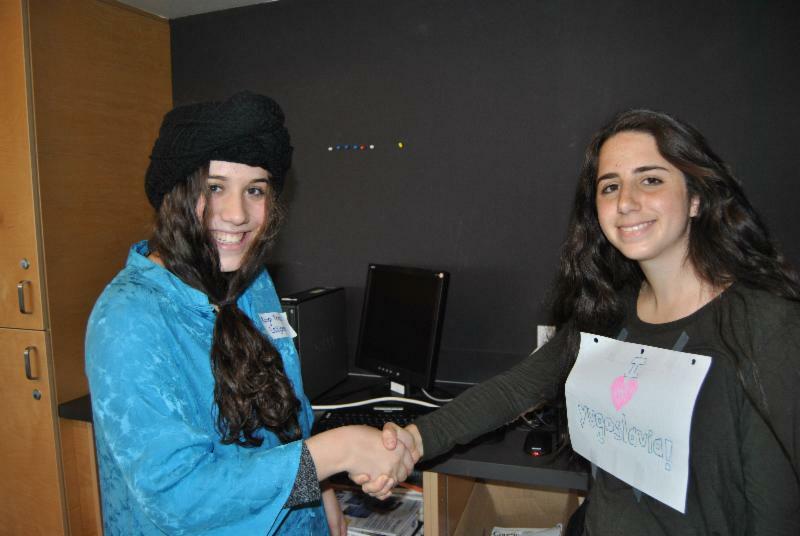 Kira, a member of the Muslim League and Deborah, a Serbian National, reach agreement. 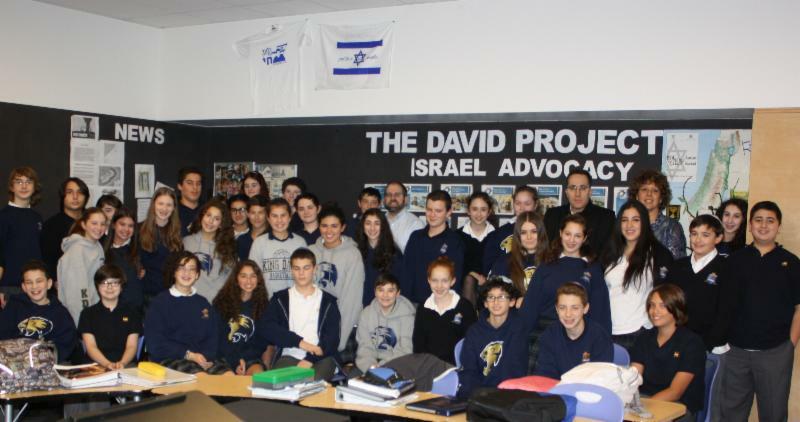 Ilan Pilo, Jerusalem JNF Emissary- Pacific Region and Hadar Epstein, JNF Education Emissary, visited our Grade 8 students on Wednesday to share information about the work the JNF does in Israel. 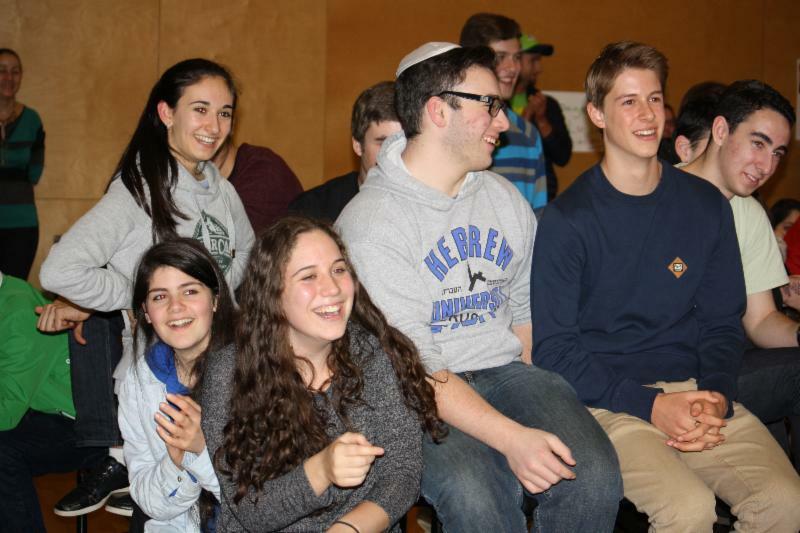 The King David Grade 8 delegation going to Israel in March will do a program sponsored by the JNF while traveling in Northern Israel. The Hebrew Free Loan Association (“HFLA”) is looking for Jewish people who would benefit from small loans. Following the principle of “giving a hand up instead of a hand out”, the HFLA changes people’s lives with interest-free loans.